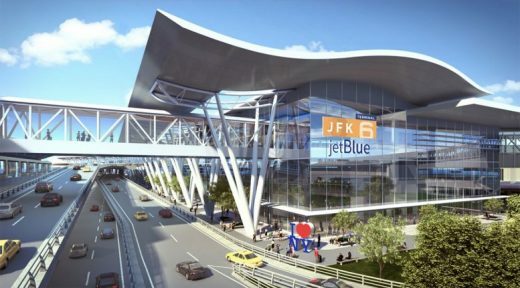 In an effort to improve both operations and accessibility to New York’s busiest airport, Governor Andrew Cuomo has endorsed a $13 Billion plan overhaul and transform John F. Kennedy International Airport. City’s flagship to get 2 new terminal buildings and increase capacity by 15m passengers a year. Construction is due to begin by 2020, with completion by 2025. 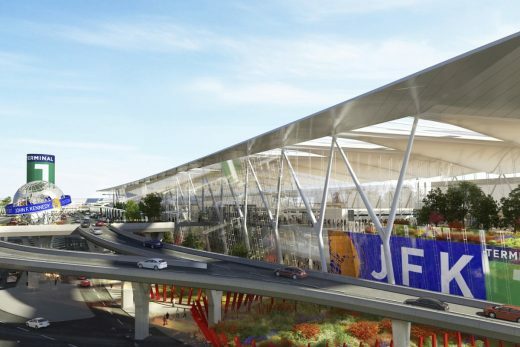 The development proposal invoves replacement of Terminals 1, 2 & 7 with conglomerated North and South terminals to help simplify and improve the traveler experience. 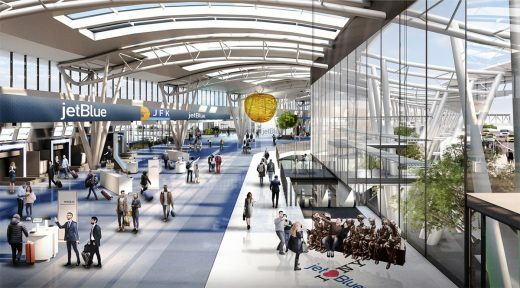 Consolidated areas will accommodate more visitors, larger aircraft, plus more accessible areas for disabled and elderly travelers. 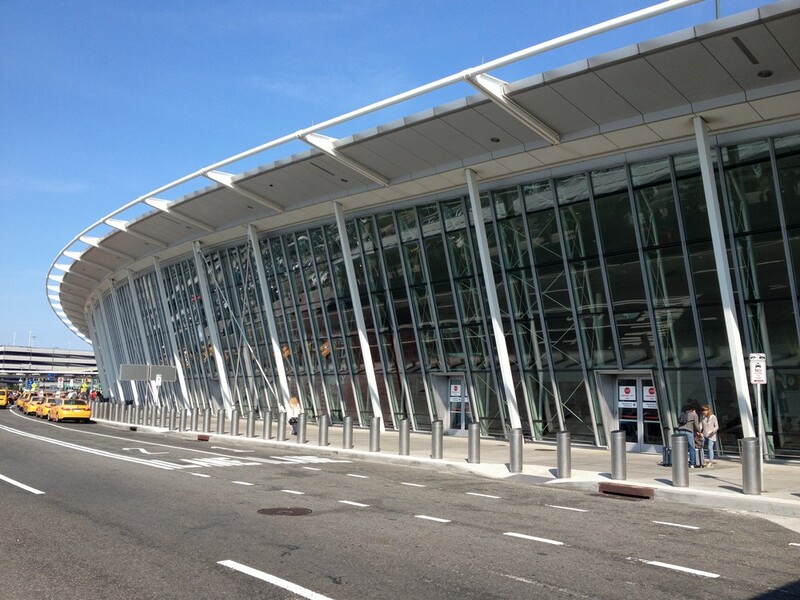 Travelers who commute using public transportation will have access to larger and more frequent AirTrain shuttles. New renderings show interior green spaces, New York-centric installations, and windowed ceiling enclosures that promote the flow of natural light. The master planning team is being led by Mott MacDonald and Grimshaw Architects. Wonderful organic architecture in a style that went out of fashion but at the start of the 21st century seemed to come back into fashion with the work of Ushida Findlay, Foreign Office Architects and to a certain extent architects such as Zaha Hadid.